Those who are even slightly familiar with our great city will tell you Chicago is massive, just bafflingly huge, with a staggering array of different neighborhoods within said hugeness. 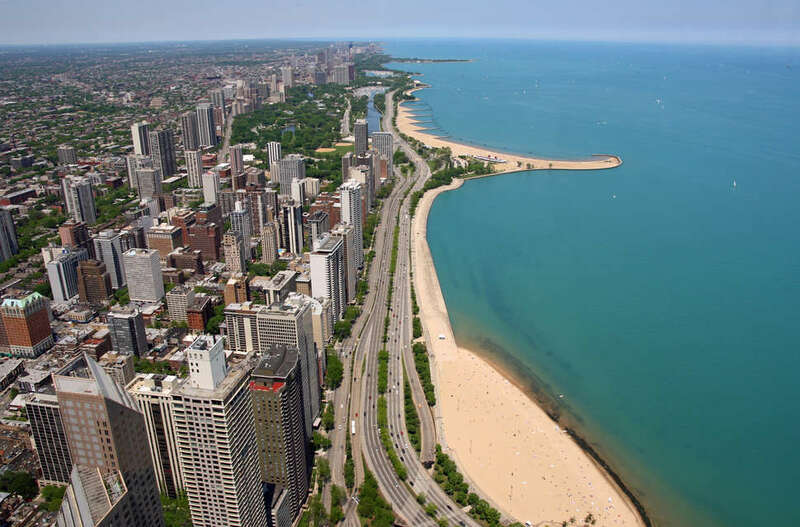 For fresh new residents and even longtime Chicagoans it can be hard to get a handle on everything each unique corner has to offer, let alone know the perfect part of town to live in that both suits your lifestyle and budget. This primer will give you a snapshot of 22 neighborhoods you may want to have in the mix when considering your next housing move. 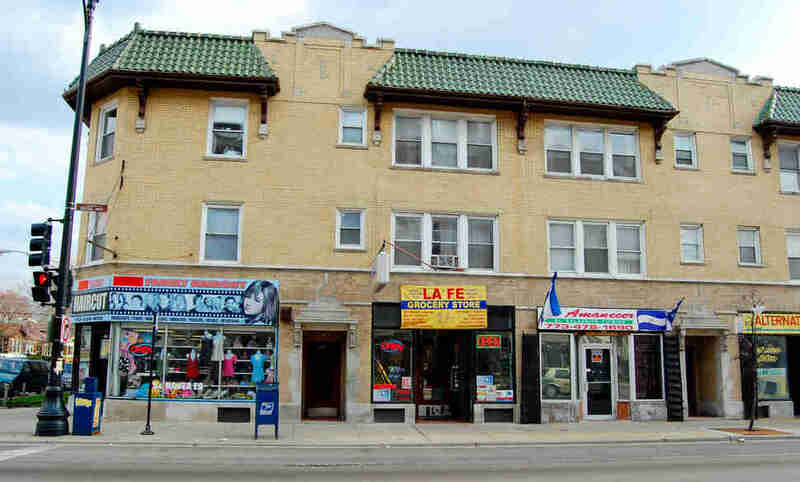 Dominated by the bustling commercial corridors along Lawrence and Kedzie, Albany Park is a vibrant center of immigrant culture on the Northwest Side. Who lives here: While Hispanic migrants and their kids make up the largest block of residents, if there is a language that is spoken on Earth there is a good chance someone speaks it here. Bar and restaurant scene: Bars are a rare sight, but you will have so many Mediterranean, Korean, Mexican, Japanese, and Filipino standouts to hit you won’t have time to worry about. You can always drink at home. Public transit: This is the end of the road for the Brown Line, on the plus side the stops are plentiful and trains less crowded than the Red Line. This old industrial neighborhood is still affordable and working class, though an influx of new residents lured by Avondale’s great culinary offerings is threatening to change that fast. Who lives here: Once the center of the Polish Northwest Side, its backbone is now Hispanic immigrants and families from Mexico and Central America, plus the aforementioned young artsy types. Bar and restaurant scene: In addition to the stalwart heavy metal burger joint Kuma’s Corner, Avondale had made its name recently on up-and-comers like Honey Butter Fried Chicken and Parachute. Nightlife is still scarce outside of some local bars. Public transit: The Belmont bus and Blue Line stops will be your lifeline because you are a hike from most anything else. 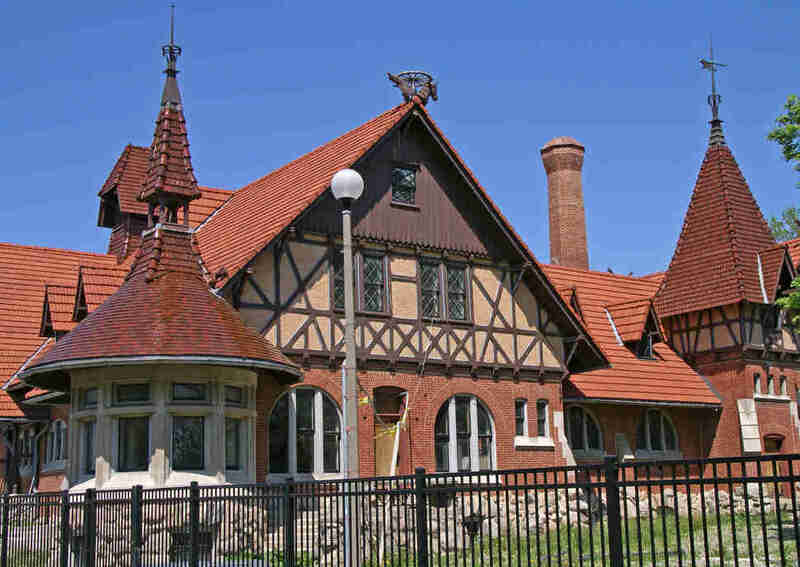 Historic Beverly on the Southwest Side is famous for its Irish pubs and institutions and its collection of beautiful homes. Who lives here: Beverly is still very much a traditional family neighborhood with a mixture of Irish and African-American residents. Bar and restaurant scene: Any locals will probably remind you that Western Ave is home to a huge collection of old south side Irish-style pubs, including Keegan’s. Top Notch Beefburgers is accurately named and sweets lovers will have it best with the wonderful Original Rainbow Cone and Jimmy Jamm Sweet Potato Pies. Public transit: While there is no nearby L stop, Beverly is well stocked with Metra stops for commuters, and there is the occasional bus on 95th to take over to the Red Line. Gritty, blue-collar, and home to 68 years worth of Chicago mayors, Bridgeport has a long-standing reputation as the unofficial center of the city’s working-class population. 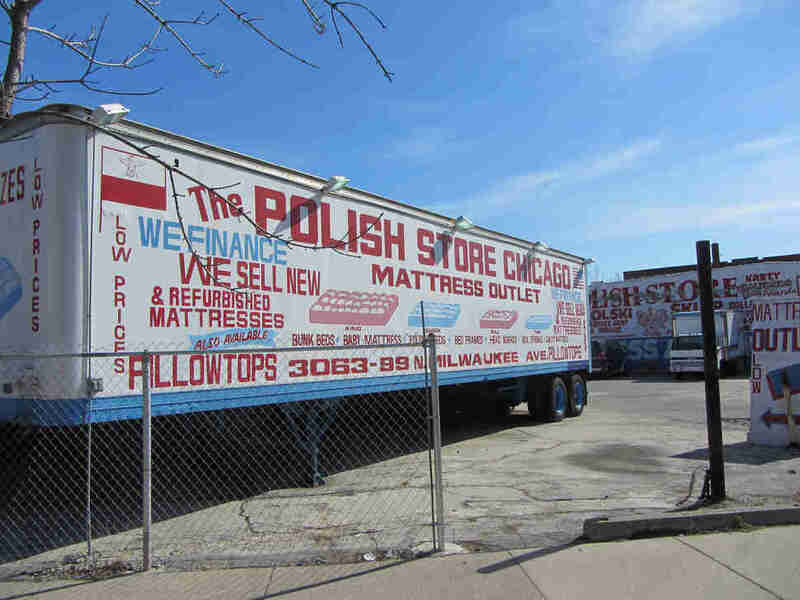 Who lives here: Older Italian, Irish, African-American, and Polish workers now share Bridgeport with a younger generation seeking out the area's strong culture and cheap rent, as well as the expanding Chinese community in the north. Bar and restaurant scene: Schaller’s Pump is among the most storied bars in the city, dating back to 1881. While old-school eateries abound, Bridgeport welcomes new additions like The Duck Inn and Nana, with Chinatown also tantalizingly close. Public transit: The Halsted bus runs down the spine of the neighborhood, or you can grab the Orange Line in the far north and Red Line to the east. 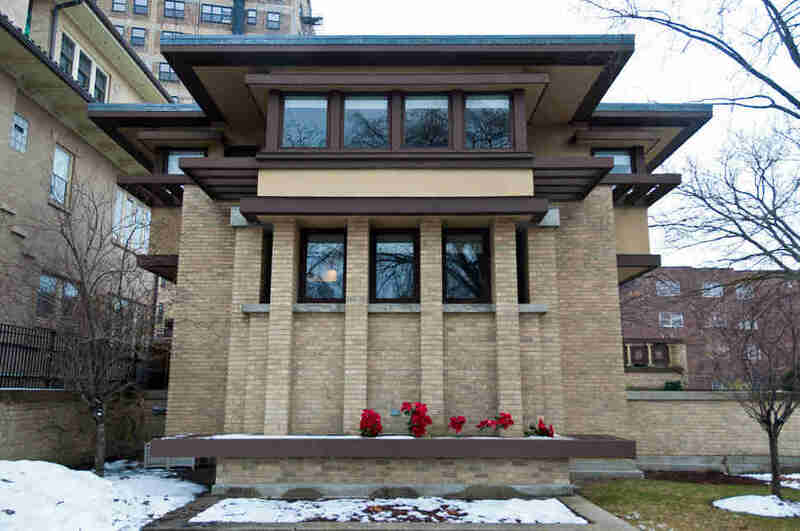 Close to the lake (obviously), and filled with some of Chicago’s prettiest streets in the Lakewood Balmoral and Bryn Mawr historic districts, Edgewater is an eclectic neighborhood that offers diversity, affordability, and some great food. Who lives here: There are plenty of long-term residents still around, joined by younger transplants and an expanding LGBT community, plus pockets of Asian, Hispanic, and Middle Eastern immigrants. Bar and restaurant scene: Andersonville, along Clark St, has one of the most impressive arrays of food on the North Side: beer and Belgian eats at Hopleaf, southern comfort food at Big Jones, cheap Middle Eastern at Taste of Lebanon, brunch at m.henry, and on and on. Broadway is no slouch, either, with plenty of affordable spots catering to local immigrants and young foodies alike. Public transit: The Red Line and Clark bus make it easy to get around the North Side but trips to the Loop or West Side neighborhoods can start running towards an hour. 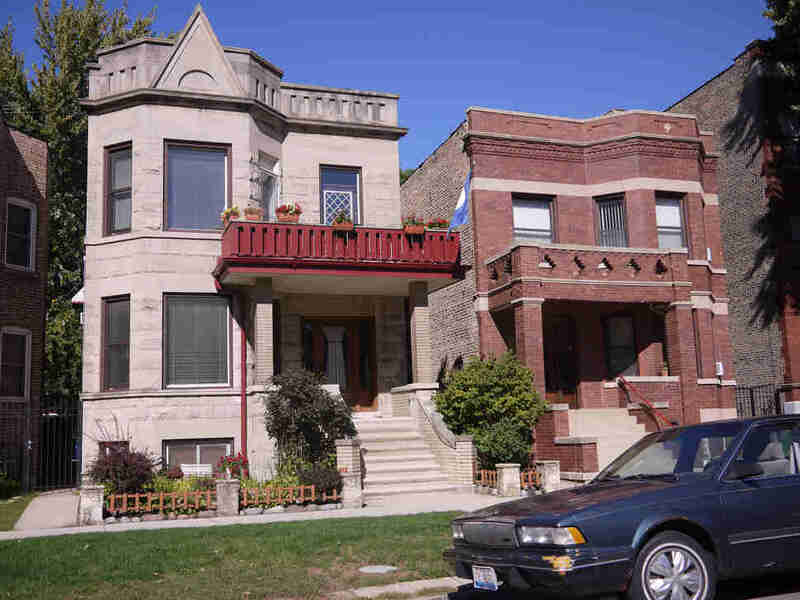 A neighborhood full of contrasts, Humboldt Park is anchored by its beautiful namesake park and great historic homes, though some areas in the west are still notoriously crime-ridden. Who lives here: An integrated mix of African-American and Hispanic working-class residents, with the first sprinklings of Logan Square and Ukrainian Village rent casualties. Bar and restaurant scene: Plenty of good, cheap, rib-sticking options dot North and California. Try Diana’s for authentic Puerto Rican, or Feed, down on Chicago Ave, for some southern-style soul cooking. Public transit: Not a lot to work with. You’re going to have to rely on the North, Division, and Chicago buses quite a bit. Quote from a resident: "Humboldt is home to one of the most incredible parks in Chicago -- with flower gardens, ponds, playgrounds, and more -- not to mention the brand new 606 trail, which is just two blocks away. There are plenty of hidden gem restaurants, and everyone who lives east of Ashland Ave thinks it’s dangerous which keeps the rents low, so don't spoil it." 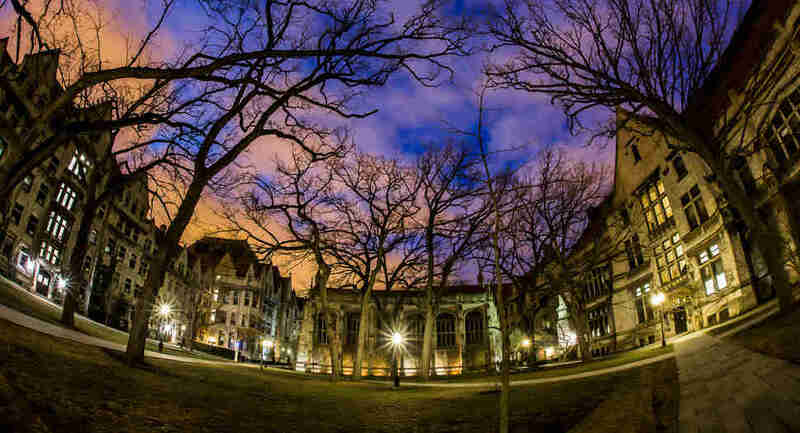 Nestled between Washington and Jackson Park, and home to the University of Chicago, Hyde Park may be the greenest neighborhood in the entire city. Who lives here: Students from the University are the most visible group alongside a population diverse in age and culture, especially as you get farther from campus. Bar and restaurant scene: The bar scene is pretty quiet for a college 'hood, but there are good things to be had along 53rd St, like the vegan B’gabs Goodies, breakfast at Valois, and sandwiches at Windy’s. Public transit: Unless you want to stroll through Washington Park to the Green Line, the Metra stops along the east side are your connection to the rest of the city. 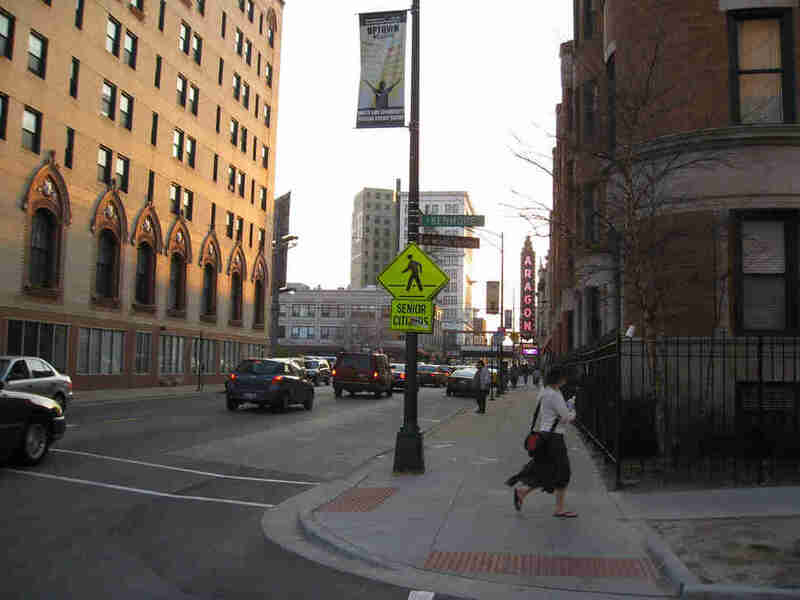 The quintessential North Side neighborhood offers a variety of different living experiences within its borders. Chicago’s gay mecca is Boystown, along Halsted, right next door to Wrigley Field, with its rows of frat guys and sports bars, while the West Side of the neighborhood offers a quieter, more family-oriented lifestyle. Who lives here: People who think Lincoln Park is too bougie, people who can’t afford to live in Lincoln Park anymore, people who just moved to Chicago. Bar and restaurant scene: Like the neighborhood itself, Lakeview is all over the map. Every human being on Earth should be able to find a bar they like somewhere, whether it be a sports bar on Clark, a gay-friendly neighborhood joint or a tucked away dive bar. It’s a little lacking in higher-end dining if that's your thing, but offers plenty of mid-range variety and great take-out places like the fried chicken masters at Crisp, or Cozy, one of the best noodle joints in the city. Public transit: The Belmont L stop is the busiest in the city, so get ready for that. But no matter where you live, you should be within walking distance of a few major transit options. Quote from a resident: "Lakeview has all the amenities of neighbor Lincoln Park but with a more laid-back attitude and budget-friendly price tag. Between the gay scene in Boystown and the bars in Wrigleyville, I feel like there is truly something for everyone." With its picturesque streets, charismatic brick and stone townhouses, and of course the park right next door, Lincoln Park has a well-earned reputation as a desirable, if preppy, urban haven. Who lives here: Like its neighbors to the north and south a large amount of professional 20- and 30-somethings, but with a few more (rich) families and a mix of students from DePaul to give it its own character. Bar and restaurant scene: Although it doesn’t have the big name draws of a Randolph St or the hip factor of a Logan Square, Lincoln Park is still brimming with options along Halsted, Clark, and Armitage. You’ll grow particularly fond of longtime neighborhood favorites in the vein of Sapori Trattoria, the Athenian Room, or RJ Grunts, but with no shortage of more contemporary tastes like the immaculate Korean tacos at Del Seoul. Public transit: One of the best selling points about the area, there’s easy access to a bevy of train lines and buses that will carry you almost anywhere in the city, although the "L" can be a march if you live right next to the park (you’ll manage). 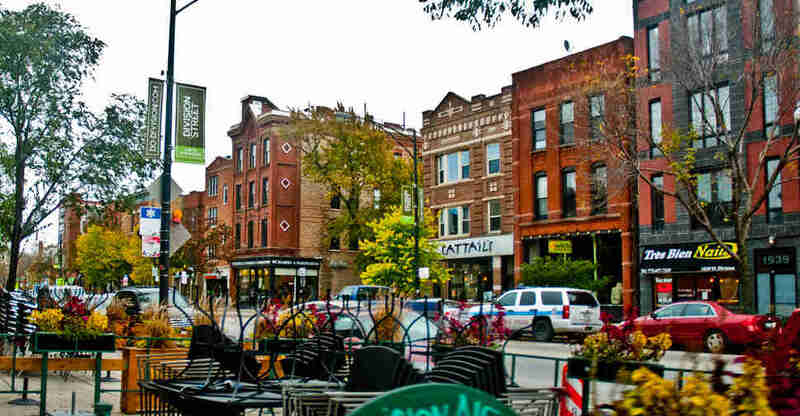 A pleasant, mostly residential and small business area that still boasts a strong German heritage, Lincoln Square has held on to its old-school neighborhood-y charm and affordable rents while still inviting in the new waves of immigrants and young trendsetters. Who lives here: Middle-class families and professionals, with a growing Hispanic community and some creative types escaping the higher rents to the south. Bar and restaurant scene: Lincoln Square has plenty of under-appreciated (to people who don’t live there) spots. You have Gather holding down the new school crowd along with Bang Bang Pie’s sister bread shop Baker Miller. What really shines are affordable local spots like Monti’s cheesesteaks and the dual meat heavens of Gene’s Sausage Shop and Lincoln Quality Meats. Public transit: You’re starting to get a little farther from the Loop here, but plenty of Brown Line stops mean a short walk, and the Damen bus can carry you down to the west side easily enough. What is there to say about Logan Square that hasn’t been said in a thousand think pieces about hipsters and gentrification? Let's just say the charming boulevards and top-notch bar scene are as good a reason as any to get fired up. Who lives here: Contrary to reputation, the Mexican and Puerto Rican families that made this such a desirable locale in the first place are still in the area. But yeah lots of hipsters and post-hipster young professionals, too. Bar and restaurant scene: A doozy on both the drink and food front take a look here and here to get started. Easily a top five hood for bar-hopping or eating out. Public transit: Pretty solid, the Blue Line links you to the Loop while buses on Fullerton and Diversey can carry you east to Lincoln Park and the lake. 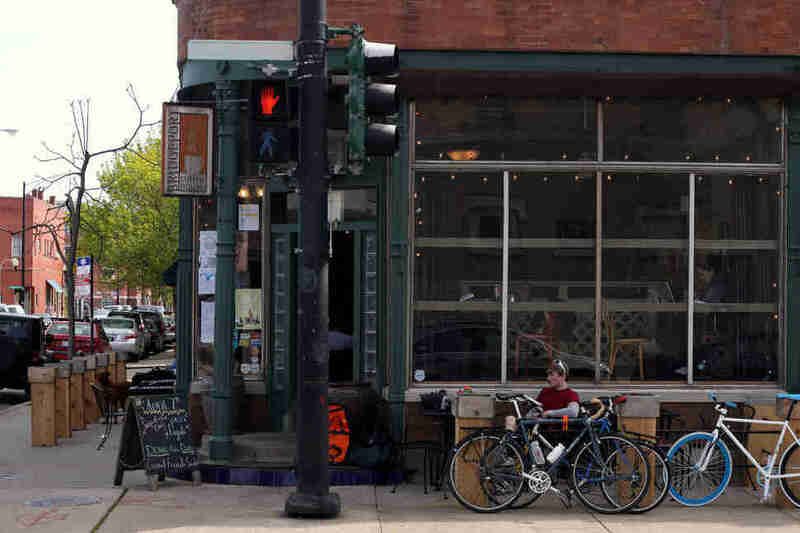 Quote from a resident: "It seems like there is always another great restaurant or bar opening in Logan Square, but the neighborhood remains a mix of young people and families. There's a lot to do but you can still enjoy a quiet weekend afternoon walking along the boulevard." 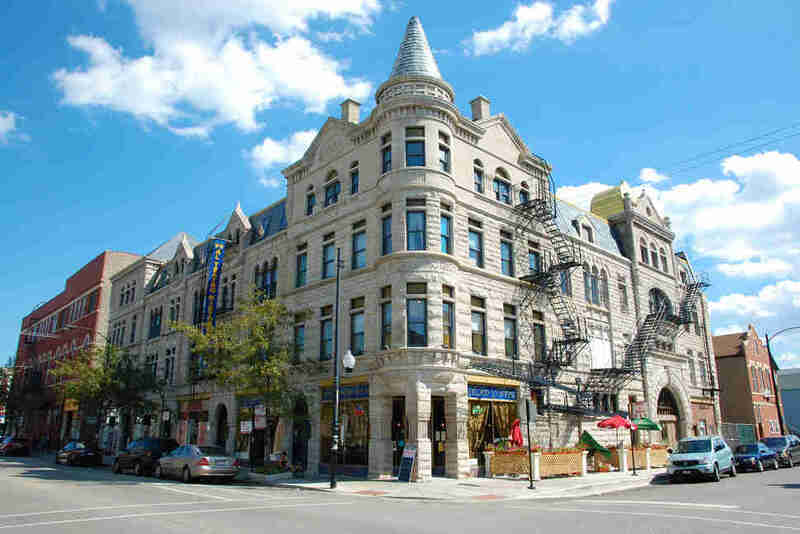 Once a major destination for the waves of European immigrants working in the factories along Ravenswood and the Chicago River, North Center has held on through the years as a welcoming affordable neighborhood with plenty of old Chicago charm. Who lives here: Young refugees who either don’t like the noise or the cost of Lakeview and Lincoln Park, mixed with older middle-class locals. Bar and restaurant scene: Lincoln Ave is lined with food and drink options, with a heavy emphasis on good bar/pub food. And we would be remiss if we didn’t tell you to grab some of the best brick-oven pizza in the city at Spacca Napoli. Public transit: Plenty of Brown Line stops at Addison, Irving, and Montrose or the buses along Lincoln and Western will carry you anywhere you want to go. 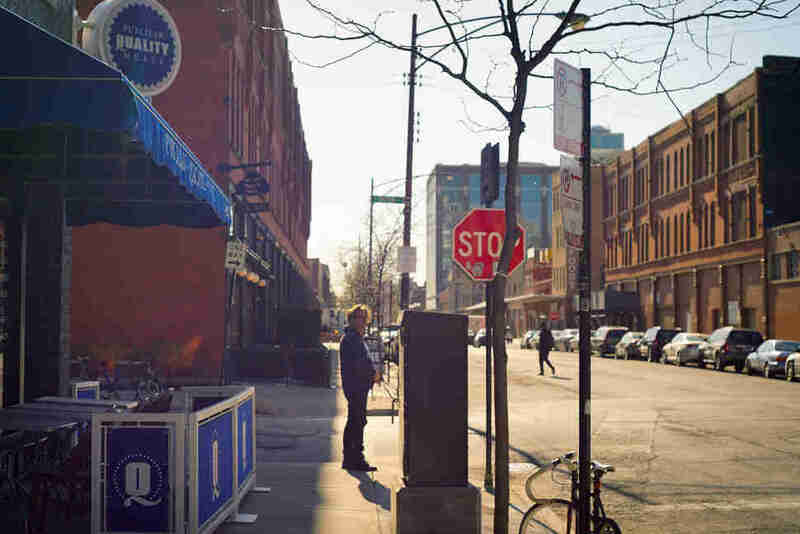 Chicago’s bohemian enclave of the '60s and '70s, Old Town’s charming historic streets, cultural institutions, and easy park access made it one of the first city neighborhoods to succumb to the forces of gentrification. But vestiges of its former character survive in places like Second City and some historic bars. Who lives here: Wealthy young professionals, wealthier young families, and a fair amount of older homeowners. Bar and restaurant scene: Old Town’s hub is the bustling Wells St, packed with trendy bro-bars like Benchmark and Old Town Pour House, and higher end dining, plus a few lingering old-school spots like the original Nookies diner. Outside of there things get a little thin, but you can still find some jewels like Twin Anchors Pub if you try. Public transit: The Brown Line stop at Sedgwick is the only convenient place to grab the "L," especially if you live above North Ave, but plenty of buses like the 22 and 36 serve the area, and make commuting pretty simple. The newly minted home to Chicago artists and hipsters is vibrant beyond the coffee shops and galleries, with the hispanic majority's strong cultural presence still the driving force in this thriving community. 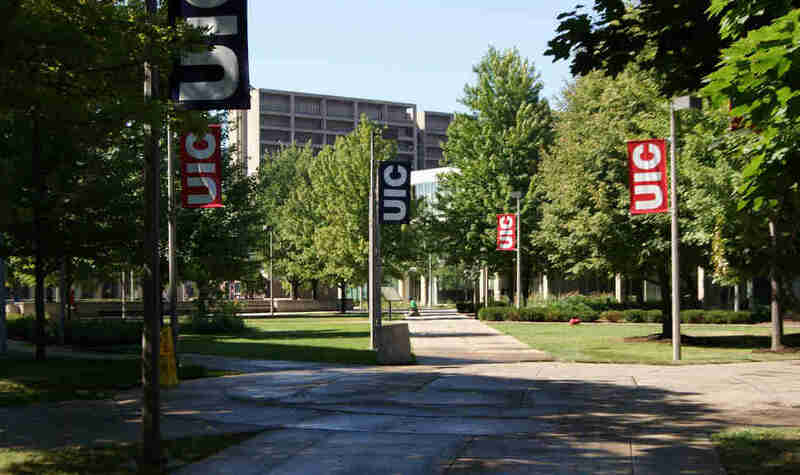 Who lives here: Several generations of Mexican-Americans dating back to the area's transformation in the '60s, with the occasional money-conscious creative or UIC student. Bar and restaurant scene: While there are a few tasty new places like Dusek’s (adjacent to the beautiful Thalia Hall hosting some amazing shows), what you should be doing is walking up and down 18th St, taking in the glorious variety of Mexican restaurants and bakeries that serve the locals. Public transit: The 18 bus is the main way of getting around with no real train access in the east. Once you hit Ashland the Pink Line will make a commute easier. 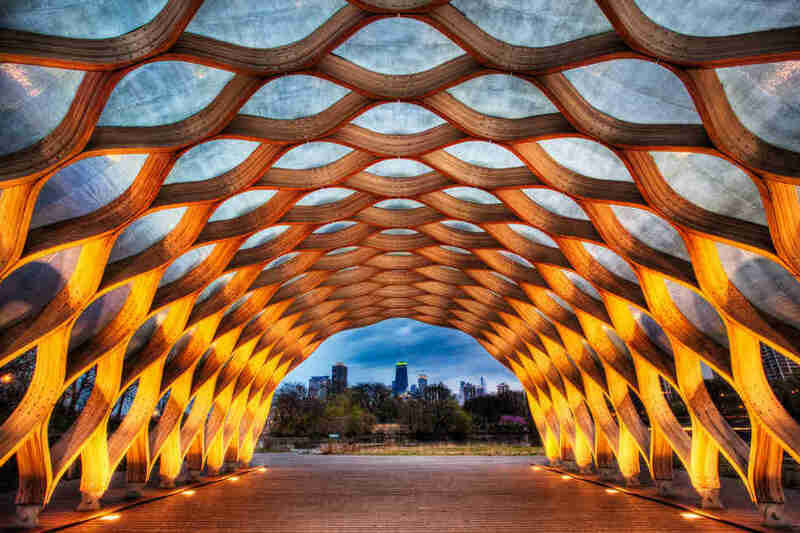 Chicago’s answer to every other innovative, happening-right-now, dapper urban neighborhood in America, this is the center of the city's art scene and high-end nightlife. 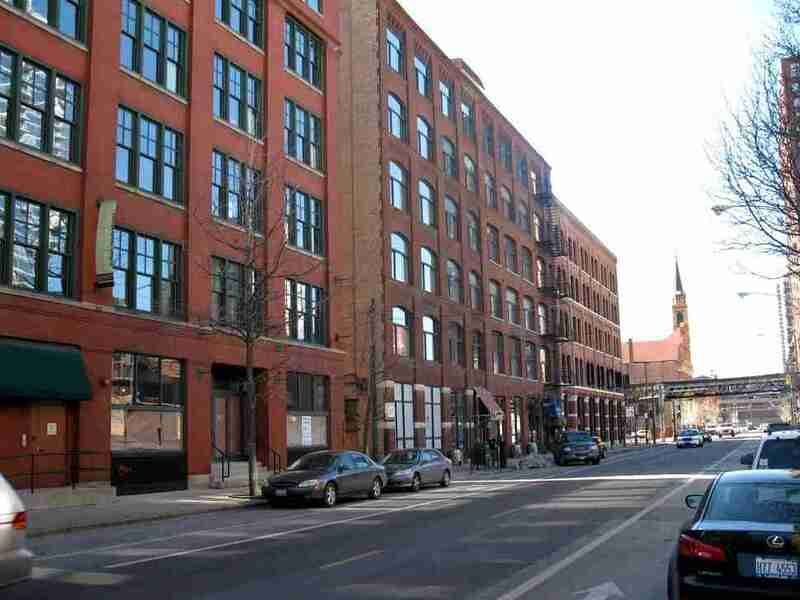 The former warehouse district has been filled with workspaces for designers and programmers, glassy new high-end condos, and more art galleries than anywhere outside of Manhattan. Who lives here: Trendy creative professionals, luxury-condo-dwelling businessmen. Bar and restaurant scene: Three Dots and a Dash, Bavette’s, XOCO, Doughnut Vault. Packed, packed, packed with something for everyone as long as you can afford it. Public transit: You don’t need to go anywhere else, unless you like peace and quiet or spending less than $50 on your dinner, but if you do the Brown Line stops at Chicago and Merchandise Mart, and a small hike will carry you to the Red Line at Grand. 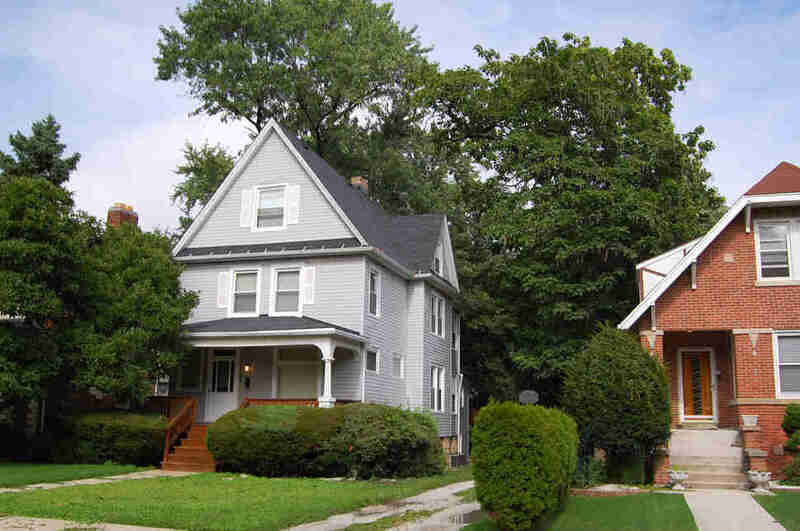 Sitting on the far northern border of the city, Rogers Park has a mostly quiet residential charm and also happens to be one of Chicago’s most diverse and integrated neighborhoods. Who lives here: Anyone from anywhere who likes cheap apartments with easy train and lake access. The major exception being the southeast corner, which is dominated by students from Loyola University. Bar and restaurant scene: Not as abundant as other places on this list, befitting the neighborhood, but still plenty of good stuff. bopNgrill’s kimchi burgers have been drawing people here for years, and Ward Eight has an atmosphere 10 times more laid back and comfortable than any place you will find with craft cocktails that good. Public transit: It’s hard to deny you are pretty far out of the way up here, but four Red Line stops and the option to grab the express Purple Line at Howard help. 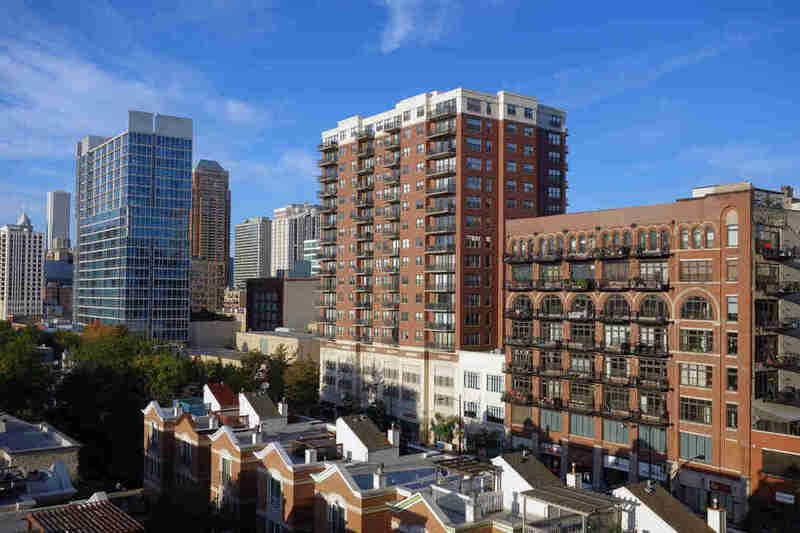 The South Loop is one of Chicago’s most interesting places to call home. Once heavily industrial, it became one of a rebounding city’s first condo boomtowns in the late '90s and 2000s only to be brought to a halt by the housing crash, and has only recently started up again. Now it is a mix of luxury high rises alongside single story industrial buildings and older developments. Who lives here: Older working-class African-Americans still make up a sizable portion of the residents with a condo crowd that is rapidly expanding. Bar and restaurant scene: At the top of South Loop Printer’s Row offers a nice mix of affordable dining and some local bars. As you move south of Roosevelt things get a little thin, but not hopeless with high quality Italian sandwiches at Ameritalia, and easygoing tapas at Tapas Valencia. Public transit: Getting around will not be a problem, with the Red, Orange, and Green Line running through the area in a addition to all the buses from the Loop. Quote from a resident: "Depending on where you’re at in the ‘sloop,’ your front yard is Grant Park and the lake, river, museums, and all CTA lines are in walking distance. 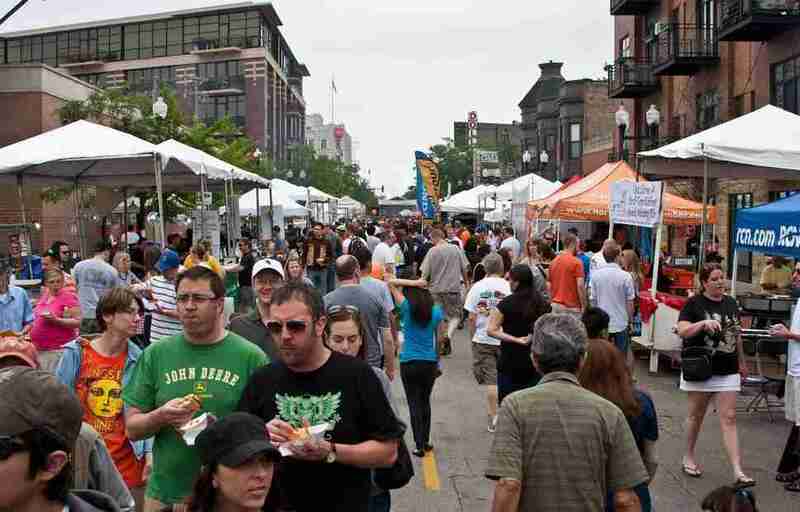 Our neighborhood has its own block party, a book fair, and if you don’t consider Buddy Guy's or Jazz Showcase good nightlife then I just feel sorry for you." 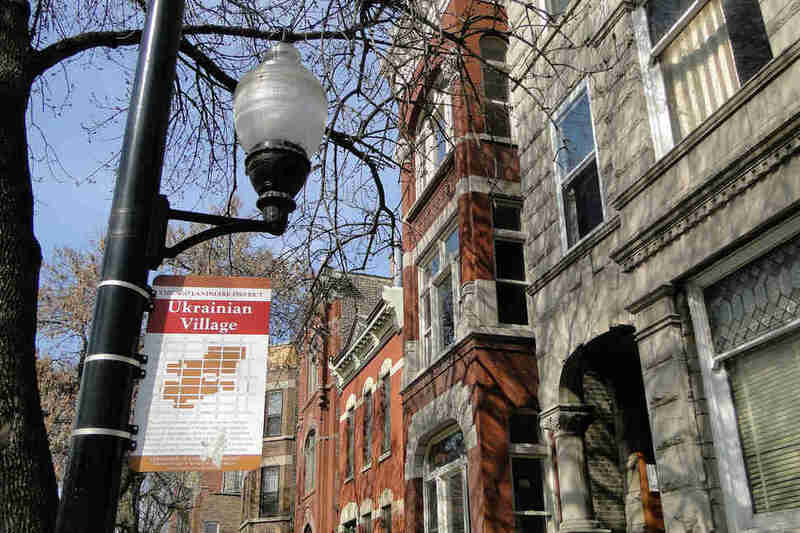 Close to the loop and Wicker Park to the north, the slightly grittier Ukrainian Village has seen a recent surge in rent and developments as the Eastern European enclave becomes one of the next hot spots for young Chicagoans. Who lives here: An older crowd of Ukrainians, Russians, and Mexicans are slowly but surely giving way to the kids from the north and east looking to find more bang for the buck on their apartments. Bar and restaurant scene: Breaking out left and right with innovative genre-bending plates at Ruxbin and new American done right at The Cotton Duck. Don’t sleep on older neighbor gems like Kasia’s Delicatessen or Fiore’s Deli for timeless Ukrainian and Italian fare. Public transit: Unfortunately far from the Blue Line, you’ll have to rely on the buses servicing Chicago and Damen to get around. Quote from a resident: "Ukrainian Village is a great, underrated, historical neighborhood. What I like best is that the streets themselves are quiet and picturesque, and yet you're only a quick walk away from trendy bars, great brunch spots, good coffee, and nice shops. 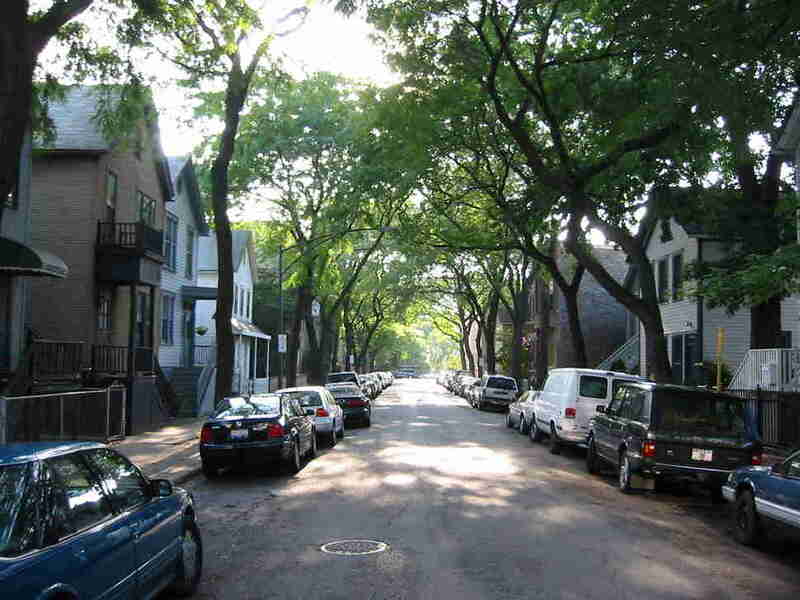 Division St, Western Ave, Damen Ave, and Chicago Ave are all really close and chock-full of stuff to do, but my street itself has a peaceful, neighborly vibe." 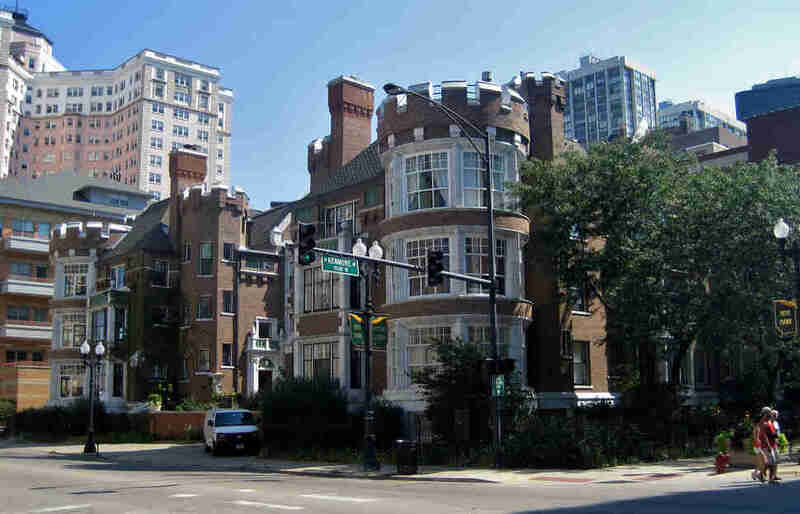 The machinations of the old (like from the '60s) Mayor Daley planted UIC dead center of the historic Maxwell St district, demolishing half the neighborhood and altering the entire landscape of the West Side. What has risen in its place is a student city within the city, with the remaining residential areas of Little Italy and new condo development drawing in an increasing number of professionals. Who lives here: The area is dominated by students, grad students, and doctors from the nearby medical district, but the amenities in the area have started to catch the eye of a wider variety of young city dwellers. Bar and restaurant scene: Most of the Italian residents may be gone but Taylor St does not disappoint as a destination for lovers of their food, with plenty of classics to choose from like Rosebud, Francesca’s, and the original location of Al’s Italian Beef. Public transit: You’ve got a couple Blue Line stops to grab on the north end of the neighborhood, and the Halsted and Ashland buses will serve you well. Quote from a resident: “It’s home to college students and families alike. Rent is certainly more affordable than its Downtown neighbors, with culinary offerings including the crowd-pleasing Mario’s Italian Lemonade, delicious Fontano's Subs, and the mysterious, but fantastic, Al’s Italian Beef." 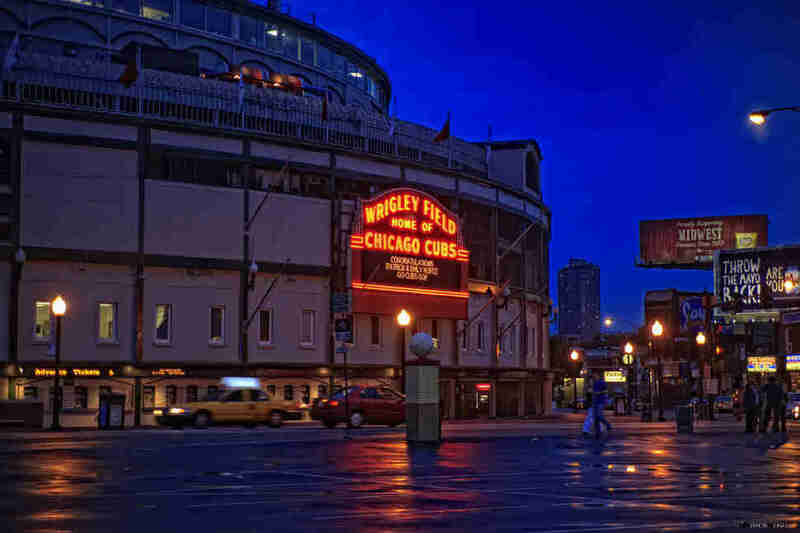 The glittering 1920s-era entertainment mecca of Chicago may seem like it has seen better times, but it still has great architecture, plenty of theaters, and one of the most diverse populations in the city. Who lives here: A big mix of income levels and cultures, with a strong African-American population, young commuters, and a large Asian (mostly Vietnamese) community around Argyle St.
Bar and restaurant scene: People from outside the neighborhood know Argyle for its great Asian cuisine but there are plenty of other great spots or all varieties. Bread and pastries lovers won’t want to leave Baker & Nosh, and if you’ve never had Ethiopian before do yourself a favor and stop in at Demera. Public transit: The Red Line bisects Uptown with three nearby stops. You can also grab the 22, 36, or 151 buses if a five minute walk is too much for you. Home to the city’s you-absolutely-have-to-eat-here food epicenter on Randolph St and Fulton Market, the old warehouses and industrial strips of the West Loop have been transformed over the last decade into one of Chicago’s most expensive and desirable neighborhoods, with luxury loft condos, trendy bars, and world class restaurants galore. Who lives here: Anyone who loves to eat, drink, party, and still afford to actually live here, which means mostly the white collar young professional crowd. Bar and restaurant scene: If you live here no doubt someone has already raved to you about Girl & the Goat or The Publican but check out this list to make sure you don’t miss anything. Public transit: You’re basically within walking distance of the Loop anyway but the Green Line will get you there even quicker and the Halsted bus can carry you north. Quote from a resident: "West Loop best loop. 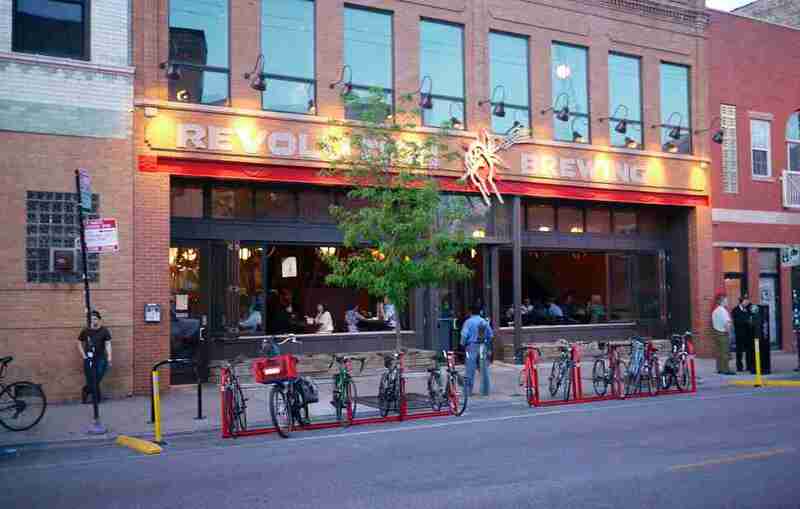 It's a perfect blend of industrial living and neighborhood spots, and it has all the best restaurants in Chicago." Wicker Park and Bucktown were once the vanguard of Chicago’s art and counterculture scenes. The artists moved on long ago, but that spirit still infests the area with a wide variety of independent shops and unique bar and dining options. Who lives here: Young professionals and newly married couples who prefer the area’s more alternative vibe to Lincoln Park or Lakeview. Bar and restaurant scene: Piece is a staple for undeniable thin crust pizza as is nearby Big Star for tacos. Excellent asian fusion spots like Bento Box or En Hakkore abound. As for the bars, there are too many to count, so just do yourself a favor and read up. Public transit: The Blue Line stop at six corners is notoriously a crowded mess but it is close. On the edges you’ve got the Western and Division stops, or grab the North Ave bus if you’re heading east. Matt Spina is a Chicago writer who has moved around Chicago too many times to count. Look and see for yourself what Chicago has done to him @MR_spina.